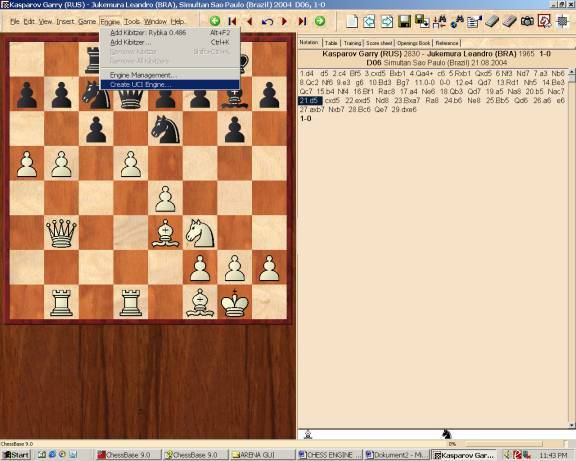 Open the Chess Base 9 GUI. You will see this window. 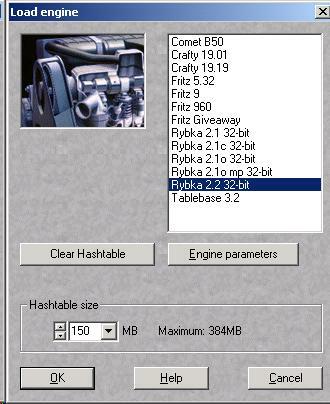 Browse for the Rybka engine. Click open and then ok. You are done with the installation. 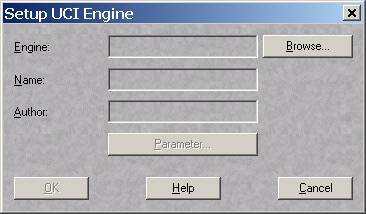 If you see the error message "Engine: could not load" make sure that you want to install the right Rybka version (the 64-bit version needs a computer and operating system that supports 64-bit) and if there's still this error, you should try to remove the path to the Nalimov endgame tablebases in the options for the installation (restart Chessbase after removing the path). This seems to be a bug in Chessbase, it does not necessarily mean that your endgame tablebases are corrupted. Now, you only have to start using an engine. To do this click on ENGINES then ADD KIBITZER. From the window, which will appear, choose Rybka. Set the size for the hash tables.